after squealing over it for a bit [and, of course, immediately instagramming it] i couldn't wait to wear it. [but i did wait, until sunday]. it just makes me feel so fun and tropical! how would you wear palm-leaf? 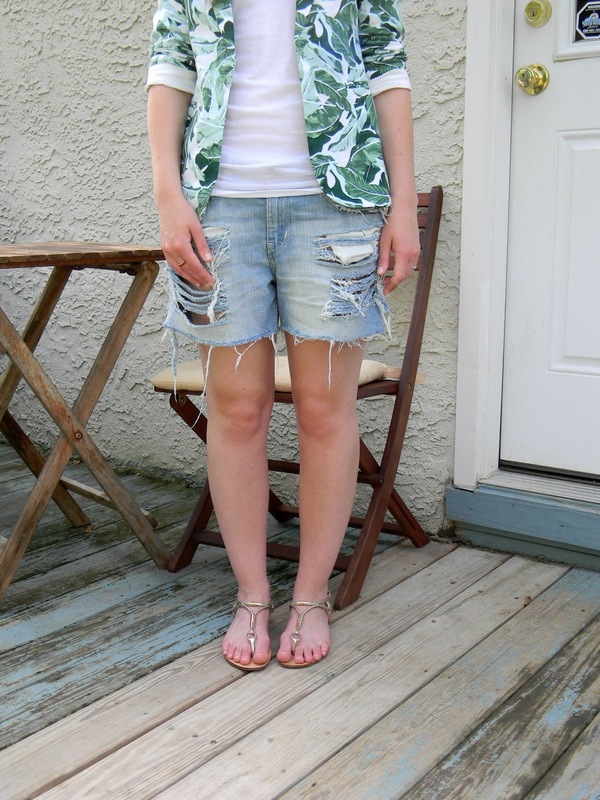 I am loving that Joie blazer & H&M shorts. You look adorable. So happy I stumbled across your blog. Love it!!! I agree with Annie - "Um that blazer is fabulous"! Really! The print is just so nice! Doesn't look Hawaii-ish .. ya know. 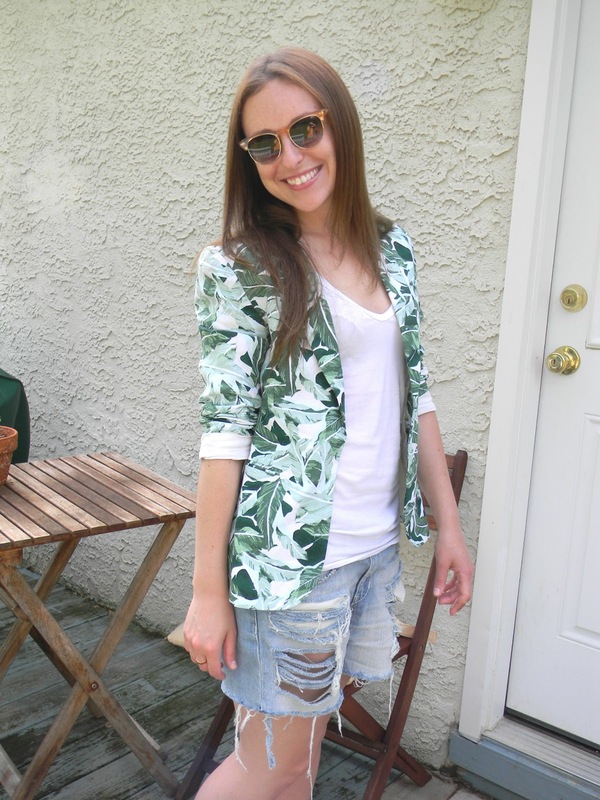 I've been loving how you style the palm leaf blazer - what a fun piece!